Free Cookies on October 20! 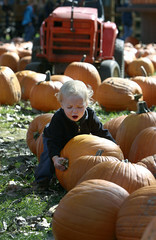 On Tuesday, October 20, every guest at Papa’s Pumpkin Patch will receive one of Papa’s famous pumpkin cookies for free. There are a few reasons why. 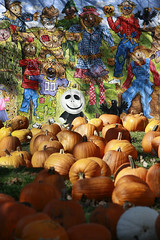 First and foremost, Papa and the family want to honor Mrs. P and her ever-present spirit at Papa’s Pumpkin Patch. For those who don’t know, Mrs. P was an integral part of Papa’s Pumpkin Patch for 32 years. She left our sight, but not our hearts, on October 20, 2014. She was so grateful that she could spend those last days in her log home at the heart of the pumpkin patch, listening to the laughter and seeing the joy shared among families who were making memories at Papa’s. 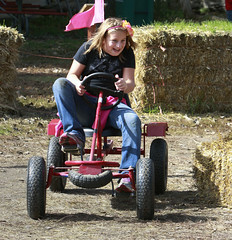 Another reason for the gift of pumpkin cookies on Tuesday, October 20, is the overwhelming number of guests—young and not so young—who have chosen to pay it forward for other guests…all across Papa’s Pumpkin Patch. At first we thought it was just a really cool thing that was happening in the sales area. Guests would leave $.25, $1, $5, $10, even $20, and pay it forward for guests that followed. Some specifically asked that we buy cookies for the next family or next several families; others asked to pay it forward for someone else’s pumpkins. Then we learned the same thing was happening in our admissions area. Families coming into Papa’s were paying it forward for other families. And in our concessions area—guests were paying it forward for other guests so they could enjoy a pumpkin cookie, hot apple cider or a slice of pie. In honesty, we’ve been brought to tears several times by your generosity. 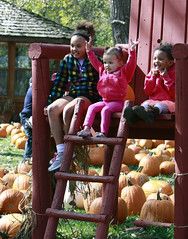 Of all of the things we hope Papa’s Pumpkin Patch will be for our guests, making memories and spending time with family in the outdoors has always been at the top of the list. Becoming a place where people are so good to one another…so kind to one another…so compassionate…this overwhelms us. You see, we miss Mrs. P a lot. We knew we’d have reminders of her this pumpkin season in all of the colorful flags she sewed and in the thousands of children who would visit Papa’s on field trips (she scheduled all of their visits until last year). But we had no idea her spirit might move through guests in such a way that her goodness and kindness and compassion would be seen and felt by so many. In truth, you’ve given us a tremendous gift by paying it forward like Mrs. P would do. And it all started with cookies. Next Post October 21-23: There’s Extras at Papa’s!